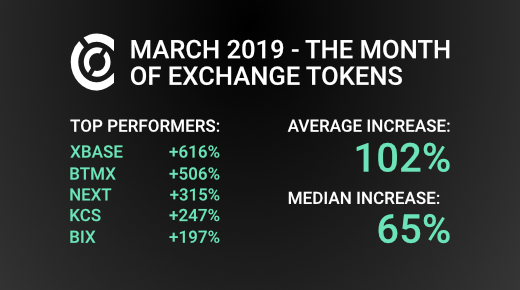 The percentage values are the increase of the token price against Bitcoin’s price, comparing the opening price on 2019-03-01 to the closing price on 2019-03-31. The market cap is based on the closing price on 2019-03-31. Data is from coinpaprika, CoinGecko and CoinMarketCap.